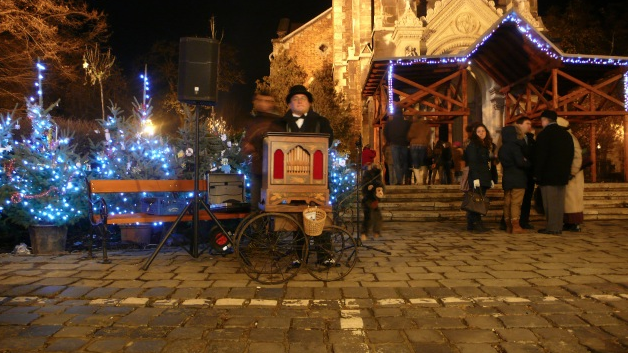 One of the lesser known Christmas markets in Budapest is sometimes on Bakats Square, in Ferencvaros district, about 10 min ride from the city centre of Budapest. This market has not been scheduled for this year. 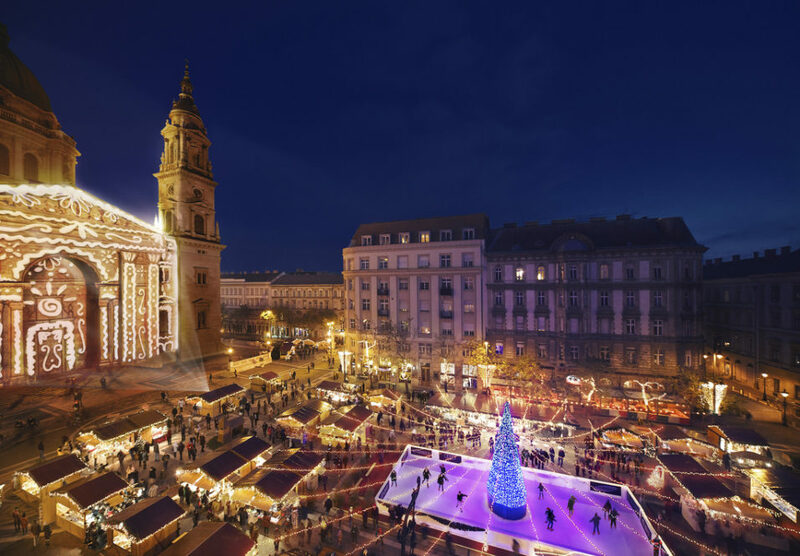 While most tourists and locals head to the more crowded and big Christmas Market on Vorosmarty Square or the Christmas Fair and Rink at St Stephens Basilica, there are many little Christmas markets that are worth a visit, especially if your hotel in Budapest is nearby that particular district. What you will see is a more local Xmas fair, an artificial skating rink (plastic), a Christmas pyramid tree, street artists, wooden booths with Christmas gifts, and lots of locals happily coming together for a bit of winter fun, and celebratory atmosphere. Choirs sing, locals are attending the Advent masses of the church towering over Bakats square. The Church of St Francis of Assisi is a nice church, and if you feel like joining the locals, why not? Give it a try. 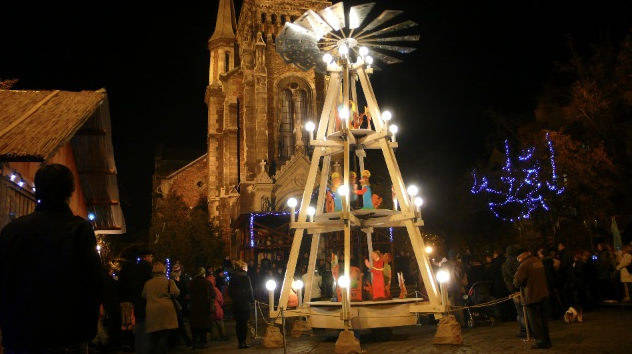 How to get to Bakats Square Christmas Market? Bakats Square is a nice square right off the popular restaurant zone of Budapest in Raday street, which is packed with dozens of cafes, bars and restaurants right next to each other (including the first Michelin start restaurant of Budapest, Costes). Bakats Square is also a short walk from Petofi Bridge, situated by the busy big ring road of Budapest, where tram 4 or 6 runs every 2 minutes. The closest metro station to Bakáts Square is on M3 blue metro line, Corvin Quarter metro station (Corvin-negyed). The inner streets of District IX are quite close to downtown Budapest, so you will not have to make a big detour, especially if you take the metro from Deak Sq (or Ferenciek Square or from Kalvin). 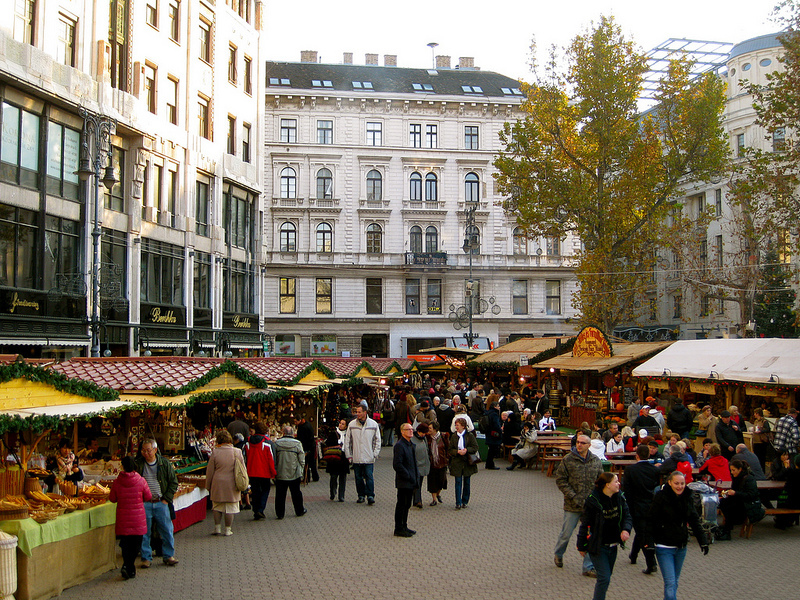 Ferencvaros Christmas Market is on Bakats Square, in the 9th district of Budapest. This Christmas market is a small scale and local fair visited by Hungarians who live in the neighborhood, and savvy Budapesters, who wish to steer away from the often crowded Christmas market on Vorosmarty Square and the Xmas Market on St Stephen’s Square (which by the evening hours, after 5pm, can get really full). 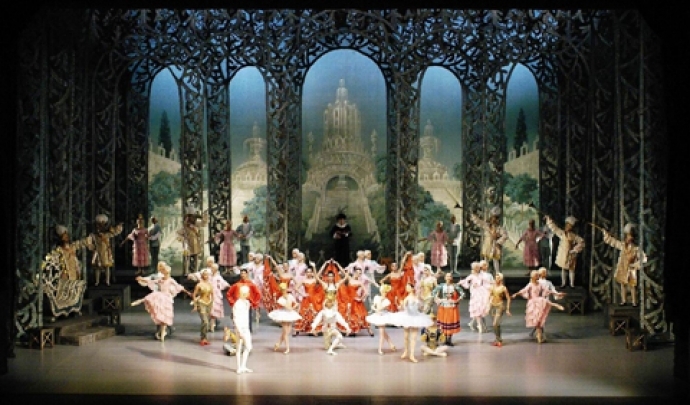 From Hotel Palazzo Zichy, Bakats Christmas Market is a ten min walk.